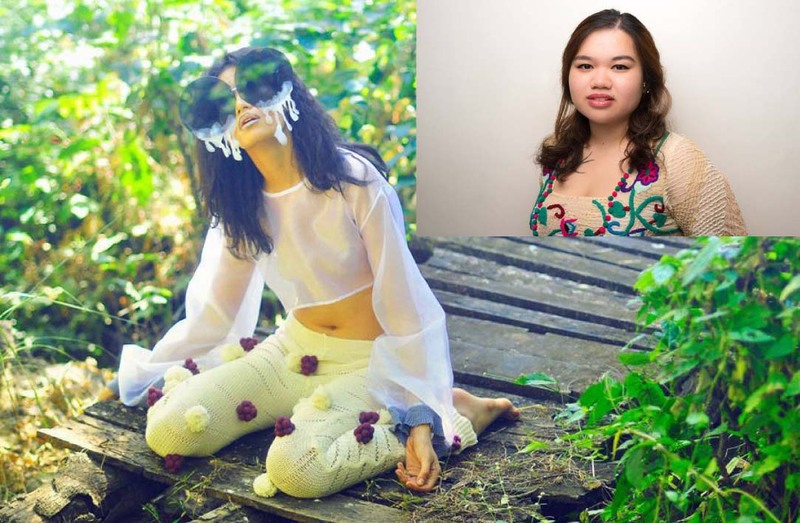 TACLOBAN CITY – A fashion designer who traces her root in this Yolanda-hit city is making waves at the London fashion scene with the massive typhoon serving as her inspiration. “It’s surreal to be here, being at an exhibit in London Fashion Week. The genuine appreciation and attention the collection has been getting is still is,” Caintic said in an online interview. The fashion showcase, participated by 120 young designers from 30 countries, ran for 10 days from February 12-22 at 180 The Strand, London. Caintic, who made her concept just in two weeks, was interviewed by Kellie Morgan and Myleen Klass both of CNN and another one in News Arise of Sky Channel. The young designer specializes in knitted street wear with pineapple fiber as her main material. ”(But) for my IFS collection, I also used bamboo yarn, rubber silicone, acrylic and molded plastic. This has a personal take on me, my family and even strangers during the typhoon,” Caintic said. Calling her collection “Hell Knows No Wrath like Yolanda” at the International Fashion Show 2014 of London Fashion Week, Caintic made waves and moved fashion critics with her fresh collection. “This collection is a reflection of what my hometown Tacloban City experienced during the supertyphoon Haiyan (local name Yolanda) last November 8, 2013. It has six looks and each look is a “stage” that described a certain feeling or theme during and after the typhoon. The devastation wrought by Yolanda is my inspiration here,” Caintic said. The first stage of the collection is “downpour,” how the surge, the black, dirty water swallowed the city of Tacloban. The “lines are cut” refers where there was no electricity and communication lines for days. Next line was “no one is watching you” with the staggering magnitude of devastation, it seems no one was in charge. “Blame game” follows, then “picking up the pieces” and “blind hope” the humanitarian organizations and countries giving help to bring hope to all survivors. She was not in Tacloban when Yolanda pummeled the city as she was in Manila. It took four days before she was able to contact her family in the city and with the help of their friends, she was able to hire a van to bring her family out of Tacloban. Caintic, a graduate of Bachelor of Science in Visual Communication at University of the Philippines-Diliman, pursued her passion in design and enrolled at School of Fashion and the Arts (SoFA) Design Institute in Makati City and eventually became a scholar. Caintic was part of PEFTA (Preview Magazine’s Emerging Fashion Talent Awards) in 2012. She is grateful that PEFTA and SoFA endorsed her to IFS. This is her first time to be part of the International Fashion Showcase (IFS) in London. Next article‘Many Happy Returns’ to everyone in and around LSDE!